This decision was taken after the submission of tenders by several service providers and much deliberation by the Board, a process which took well over a year. Metrofibre Networx with their added value offer of linking businesses and security points to the gatehouse was given the go ahead to install an open access infrastructure throughout Kyalami Park. The communication network provides a fibre-to-the-business solution for the Park. To put it simply, all premises will have their own dedicated connection point which their chosen internet service providers (ISP’s) can link to. The key advantage of this is that businesses will have multiple options of internet service providers to choose from which creates a competitive market and enables businesses to reduce communication costs whilst increasing connectivity. Increasing the selection of available communications to include fibre was a logical step for the Board who are focused on keeping the Park on the cutting edge of business. 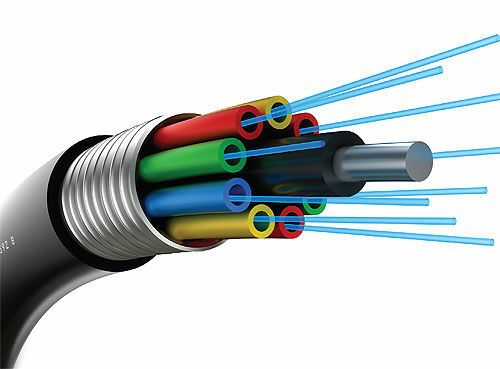 Fibre can transport larger amounts of data over longer distances faster and more reliably than any other medium. It offers bandwidth thousands of times greater than copper, far exceeding the needs of today’s applications but catering for the growth that tomorrow undoubtedly will bring. The ‘security network’ which Metrofibre Networx are installing will offer the Park the opportunity to create a fully linked environment with direct communication between the control room and each property. The linking of the cameras and electric fence will improve response time to any perceived threat and will reduce the cost of replacing equipment due to lightning damage. We are exploring the option that the new security network has presented and are hoping to step up the standard of our security offerings.